The artist Johannes Paavola studied at Turku Art Society’s Drawing School from 1910 to 1915. 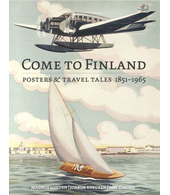 In 1920, he held his first exhibition in Turku. This was followed by several exhibitions, some with only his own work, others joint exhibitions, between 1923 and 1961. Paavola also worked as a drawing teacher in a number of schools in Turku, and he was known for drawing portraits of students during the school breaks.